You’ve probably heard about Anemometer and its features, uses, so on. Alright! What about the Thermo Anemometer? Do you want to know about the features and the functions of the thermo anemometer? Let’s read here to know the ins and outs of it. Like anemometers, this is also used for measuring the air velocity/air volume and temperature at the same time. It comes in two different forms such as wired and wireless type. 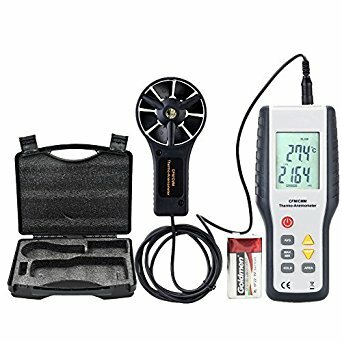 Where is the thermo-anemometer widely used for? It’s widely used for various purposes. Most probably, it’s suitable for various applications include plant maintenance operations, environmental analysis, fume hood testing, HVAC system assessments, and much more. Hence, it’s important to buy the high-quality and easy-to-use digital thermometer so you can complete your task effectively. There are lots of brands are providing these types of anemometers so it’s difficult to choose the best one. The following section describes the most important things to consider while buying the best instrument. These are some of the things that you need to consider before investing your money on the anemometer. The thermo-anemometer is a good instrument for woodworking projects. This is because it helps to measure the airflow over lumber and as well as it’s good to set up the wall vents. It features a dual LCD display which displays both the air velocity with temperature and windchill. 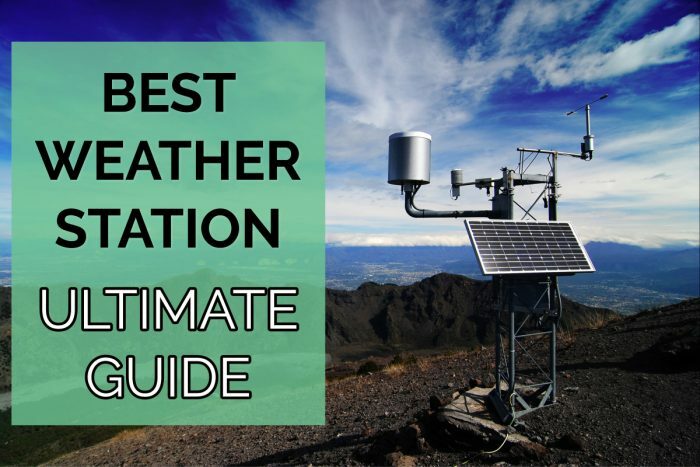 The following section explains the 2 best thermo-anemometers for wind and temperature testing. 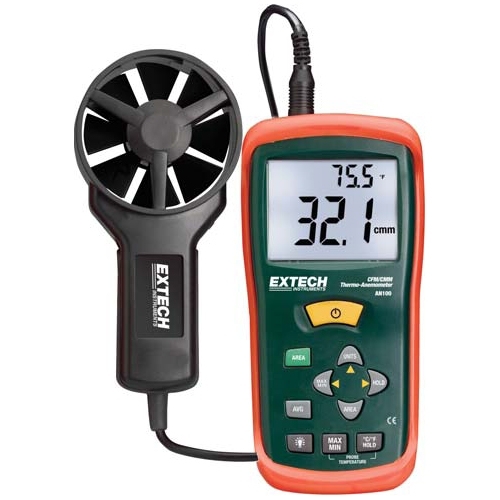 This is an excellent thermo-anemometer from the best-selling brand Extech. It comes with a large display to display the data of measured airflow and air velocity in a clear manner. It’s quite easy to set the area dimensions and as well as it comes with the 120 cm cable. With the help of the cable, you can get enhanced measurement flexibility. In addition to this, you can take multiple measurements from one fixed location. It displays the gathered data with the presence of the backlit LCD display. It is also featured with the averaging feature which helps to average the multiple readings in both the flow and velocity modes. This is one of the best digital thermo for measuring air velocity, airflow, and as well as the temperature. It comes with the backlit display to display the gathered data in a clear manner even in the low-light conditions. This is a battery-operated digital and comes with the battery so there is no need to buy separately. It works great and as well as it’s great for the money. Would you like to measure the airflow velocity? Looking for the best thermo-anemometer? If so, consider the above two best digital and invest your money on the best. 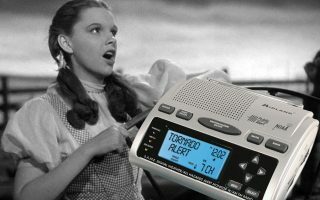 Previous article: What are the features of Portable Lightning Detector?